RUSH: I’ve got this Conyers stuff. But we knew this was gonna happen. We knew Conyers was toast. Now we got news that Conyers was feeling up a woman’s thigh sitting in church. I mean, he’s toast, he’s resigning. 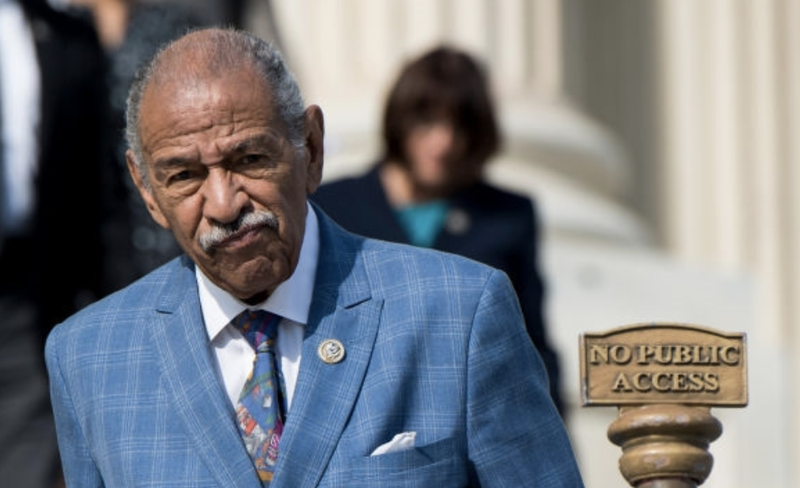 Conyers wanted to name his son, but now somebody else got in the mix, “No, I want, the gig.” Conyers is trying to dictate who his replacement’s gonna be, but he says he’s retiring today. It’s not gonna be anything different after Conyers goes. The seat’s gonna be held by the same thinking, same type of thinking. You may not have a guy putting his hand up the skirts of women at church, have to wait and see on that. But other than that there isn’t gonna be a whole lot of difference. Another Democrat bites the sexual harassment dust. And there’s a couple more here that we have to tell you about that you haven’t heard. The Democrats are dropping like flies on this stuff.